Oh thanks for this review. I have a couple of vegan friends and I love the idea of having a source of baked-goods recipes for them. I have seen chili powder in chocolate cookies, but never sriracha in peanut butter cookies! Interesting, but probably not for me. What an interesting recipe. I've had peanut butter in recipes with spicy elements (I understood it was a common flavor combination in some African countries), but not Chinese 5 Spice. I think I'd like these! Very different. I would love the spices in it! How is the exclusion of diary helping with the IBS? I have never seen a cookie recipe with Sriacha.....informative post. 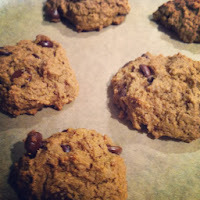 I see why the PB cookie recipe has "Surprise" in the title! My daughter tells me Low-FODMAP is the next food trend (after gluten-free peters out) and I'm interested in trying it to see if I might have more energy on it. The low-FODMAP diet for people with IBS and other digestive issues like bloating, so it might be worth trying. It seems a lot easier than veganism, at least! 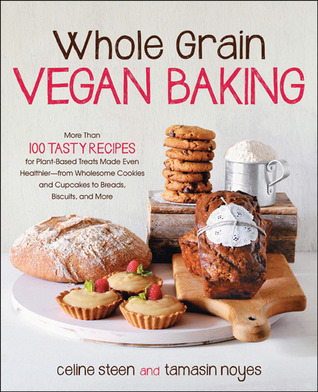 Another wonderful vegan cookbook; that makes two this weekend. Lots of Vegan options in this weekends round-up! The sriracha sounds like such an unusual addition to these cookies!! Thanks for the review. I don't plan to become vegetarian or vegan but definitely want to incorporate more of these kinds of recipes in my life. I am also a big baker so this really appeals to me. Interested in the 5 spice powder in the cookies. Never heard of that spice. Had fun. Have a nice weekend.